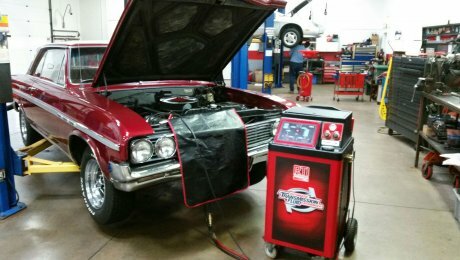 Trans Works Transmissions takes pride in helping their customers learn how to better protect their transmissions against serious damage. This is why they work hard to educate car owners. The common ways they could destroy their transmissions through potentially dangerous transmission habits. The professionals at Trans Works Transmissions believe there are 14 ways car owners are putting their transmissions at risk. Some of these practices include using the incorrect fluid type or not changing the fluid at regular intervals. Stopping and starting abruptly and using the shift lever rather than braking. Driving without warming up the engine and improper towing techniques. 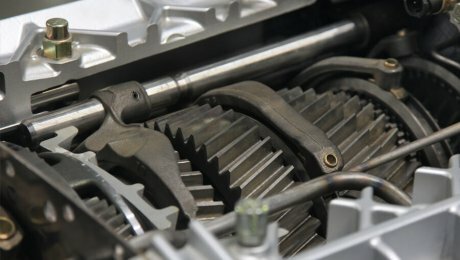 These and other habits can cause excessive wear and tear on the transmission. It could ultimately lead to its failure or the need for repairs. Although Trans Works Transmissions specializes in the repair of transmissions, they want to help their customers minimize costs and reduce the risk of needing serious repairs. Making their customers aware of the driving habits that can unnecessarily stress the transmission is their way of giving back and ensuring everyone can protect their car investment as much as possible. Anyone interested in learning about these and other dangerous transmission habits can find out more by visiting the Trans Works Transmissions website or by calling 1-608-742-5136. Trans Works Transmissions is a car repair shop specializing in the repair of transmissions. Founded in 1981, the company has grown from operating out of a small home garage to serving customers out of a 9,000 square foot garage. Their highly trained and certified technicians are qualified to work on most makes and models. It is Important to Check Your Transmission Fluid! Most auto manufacturers recommend servicing your transmission every 50,000 miles or so (check your owner’s manual for more details). But it’s a good idea to check transmission fluid periodically. One of the best times is during a normal engine oil change. If your transmission has a filler tube and dipstick you can check it yourself. If not, you’ll need to have it check by a transmission specialist. Make sure the engine is at normal operating temperature. Park your vehicle on level ground. Place the shifter in Park and set the parking brake. Locate the transmission filler tube (note: some transmissions, particularly newer cars, do not have a transmission filler tube. If your car doesn’t have one you’ll have to take it to a specialist to check). Remove the dip stick and wipe it dry with a clean cloth. Reinsert the dipstick (all the way) and then remove it to view the fluid level. Dipstick design varies from manufacturer to manufacturer but they all have a “low” and a “full” mark. In this case, they’re holes in the stick. In most cases, the distance between the low mark and the full mark is one pint. In addition to checking the fluid level, check the condition of the fluid as well. Transmission fluid comes in a variety of colors but in all cases, the fluid should be clear and not have a burnt odor. For more information on transmission fluid condition see the ATRA article that addresses the color and smell of automatic transmission fluid. If the condition of the fluid is poor or the level is low you’ll want to have your transmission checked by a specialist. You can locate a qualified transmission specialist with ATRA’s Shop Finder. If the level is low, chances are you have a leak. Make sure you add fluid before driving any further. Place a clean funnel in the dipstick tube. Add fluid based as needed. HOW MUCH WILL IT COST TO FIX MY TRANSMISSION? No way to tell… at least, not yet. Not until the problem has been checked thoroughly by a qualified technician. After performing those tests, a technician will be able to tell you whether you’re dealing with a problem inside the transmission. Or a possible problem in the vehicle systems that control transmission operation. But then he’ll be able to give you a price, right? Well, no… not completely. If the problem is in the computer system, the technician will probably have to perform additional diagnosis. This will identify the specific cause of the problem. That may take a half hour, or may take a few hours, depending on the problem. Once he’s identified the specific problem, the shop would be able to give you an accurate estimate of the cost to fix your car. If the problem is inside the transmission, the shop may be able to give you a rebuild price based on the type of transmission and the transmission repair option you choose. If your preference is a custom-rebuilt transmission they’ll need to disassemble and inspect the transmission in order to give you a firm price. The good news is that the vast majority of transmission problems that come into the shop these days don’t actually end up needing a new transmission. The repairs may end up costing less than 25% of the price of a rebuilt transmission. The important thing is to take your car to a qualified transmission repair shop. There they can diagnose your transmission problem accurately, so you don’t end up paying for work you don’t really need. The ATRA Code of Ethics — which all ATRA members are bound by — dictates that ATRA members provide competent, quality diagnosis and repairs at an honest price. Generally speaking, when it’s time to have your transmission serviced, you’ll always be better off taking your car to a transmission specialist, such as your local Transmission repair center. These are important questions, and they go way beyond the simple “drain out the old oil and replacing it with new” mentality. Those questions require technical expertise that’s well beyond that of the average oil change worker. It requires the eye of a true transmission expert. So, when asking yourself whether to use a transmission specialist or generalist, consider whether they can offer you the knowledge and the experience to be sure your transmission is in good condition.